The Late Show has released an animated holiday classic as a companion to the hit book. 'Tis the season for giving. And for watching holiday TV specials. You can fulfill both traditions by watching Whose Boat Is This Boat? 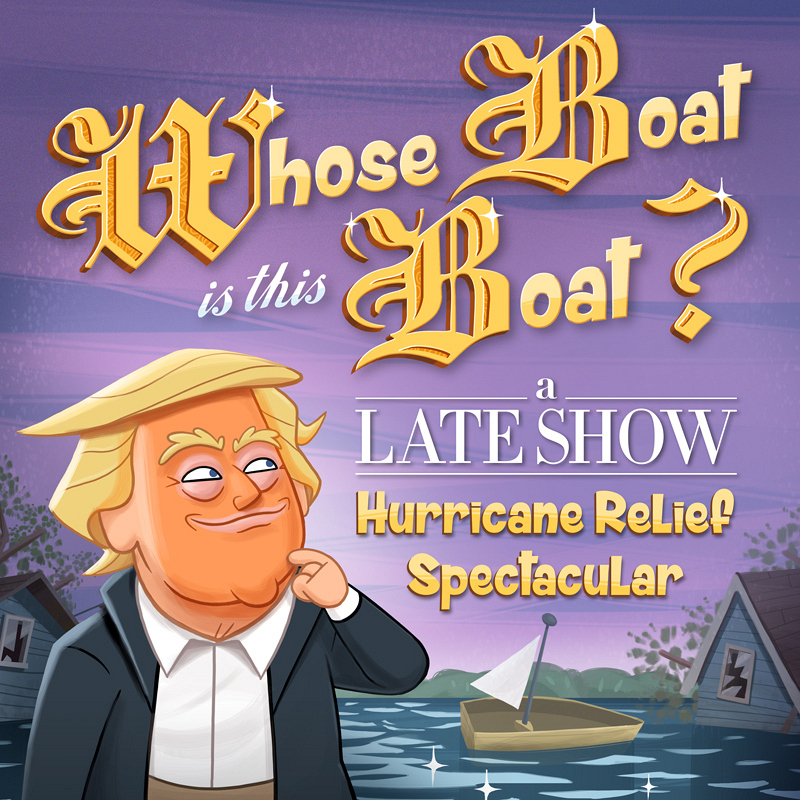 : A Late Show Hurricane Relief Spectacular, available now on iTunes for just $1.99. The video is a companion piece to the smash hit book Whose Boat Is This Boat? : Comments That Don’t Help in the Aftermath of a Hurricane, By Donald J. Trump (by Accident). That's right, Stephen and The Late Show released a book based entirely on actual quotes from Donald Trump's post-hurricane comments, and now we've turned it into an animated holiday classic. While it didn't seem like the president's words could help the victims of this year's brutal hurricane season, now they can. That's because 100% of The Late Show proceeds go to hurricane relief, including Florida Disaster Fund, Foundation for the Carolinas, The One SC Fund, The North Carolina Disaster Relief Fund, and World Central Kitchen. If you're still in the giving spirit, you can also give directly to these wonderful organizations. Watch all-new episodes of The Late Show with Stephen Colbert weeknights at 11:35/10:35c on CBS and CBS All Access.